Molecular imaging probes have the potential to transform neuroimaging. Whereas CT and conventional MRI provide structural and anatomic information of the brain, molecular probes can identify processes that are specific to a disease and its stage. This could allow doctors to classify the disease earlier and more accurately, and match it with the best therapeutic option (i.e., personalised medicine). Some important unmet needs include locating hidden cancer cells after surgical removal of a glioblastoma tumour; and identifying Alzheimer’s disease early so that the correct treatments can be initiated. But molecular imaging probes cannot enter the brain, because of the blood-brain barrier, and thus remain impractical. Thus, at the moment, molecular imaging targets are constrained to intravascular targets, such as receptors on endothelial cells. We would like to open the scope of molecular imaging probes to all extravascular targets –neurons, microglial cells, and disease processes in the extracellular space (e.g., ABeta plaques in Alzheimer’s disease). Dr. Choi’s lab has developed a short-pulse ultrasound technology that can deliver drugs across the blood-brain barrier. Meanwhile, Prof. Long’s lab specialises in creating molecular imaging probes. In this PhD project, we would like to combine the ultrasound technology with these imaging probes to create a platform for imaging specific disease processes using MRI or other imaging modalities. Figure 1. Our short-pulse sequence delivered a diffuse distribution and altered the BBB permeability for a very short duration (< 20min) and is the shortest BBB closure reported in the literature. 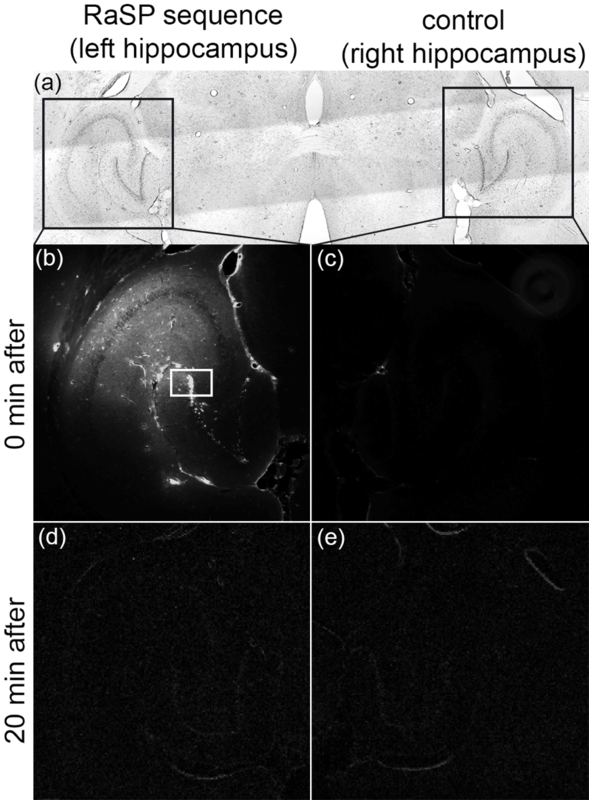 (a) Short pulses were applied to the left hippocampus. (b) Fluorescently-tagged molecules (3-kDa dextran) were diffusely delivered to the sonicated area, but not the (c) control. (d) When dextran was injected 20min after sonication, there was no delivery. Figure 2. 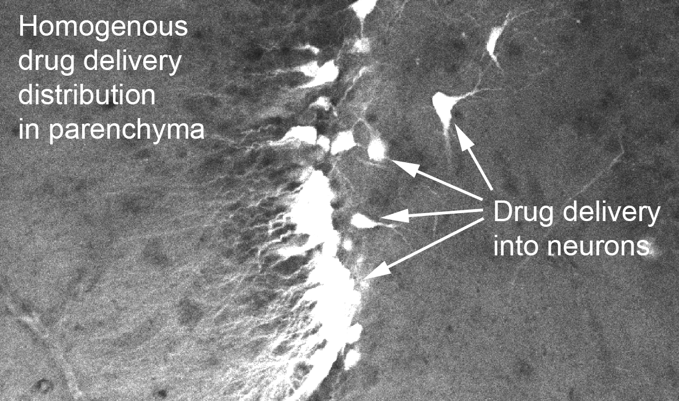 Our short pulses delivered drugs throughout the parenchyma & into neurons [white box in Fig 1]. Fluorescently-tagged molecules (3-kDa dextran) were delivered throughout the parenchyma (grey background), and into neurons (white arrows).